Launched in 1977, the 2600 is considered by many to be the first true programmable home video game system. While this may not technically be true (the Fairchild Channel F and RCA Studio II were released several months earlier), it was certainly the most successful system of its time. Due to its enormous popularity the 2600 enjoyed an unusually long life span (1977-1992), long outlasting all of its rivals. Because of this longevity, there are a large number of 2600 prototypes in existence, making them easier to obtain than prototypes on other systems. Despite its popularity, the 2600 was not immune to the great crash. The market crash of 83-84 is considered by many to be one of the darkest events in video game history, however to prototype collectors the crash is quite fascinating. For you see the crash produced a large number of unreleased games, and it is these games that are of greatest interest. Unreleased games run the gambit of completion, ranging from non-playable demos to completed games ready for release. These prototypes have been known to cause quite a bit of controversy, as many remain unreleased. The debate rages on whether collectors have a duty to release rom files of unreleased games, or have the right to keep them private. Of course prototype collecting is not without its risks. Companies such as Best Electronics have been accused of copying prototypes in the past and selling them to unwitting collectors. Although these copies are virtually identical to their official counterparts (same boards, same EPROMs), they are largely considered to be worthless by collectors. With the rise in popularity of Ebay, these once rare counterfeits are becoming more and more common. Remember when it comes to buying prototypes, Caveat Emptor. With new games being discovered every day, the 2600 is one of the most active systems on the prototype collecting front. 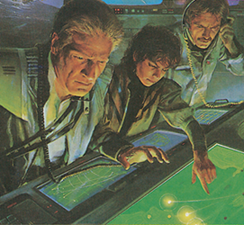 Its large number of quality titles, and enormous popularity make the 2600 appealing to collectors and players alike. Always fresh, sometimes controversial, never boring. When it comes to prototypes the 2600 has it all.